Regina Pizzeria in the North End. 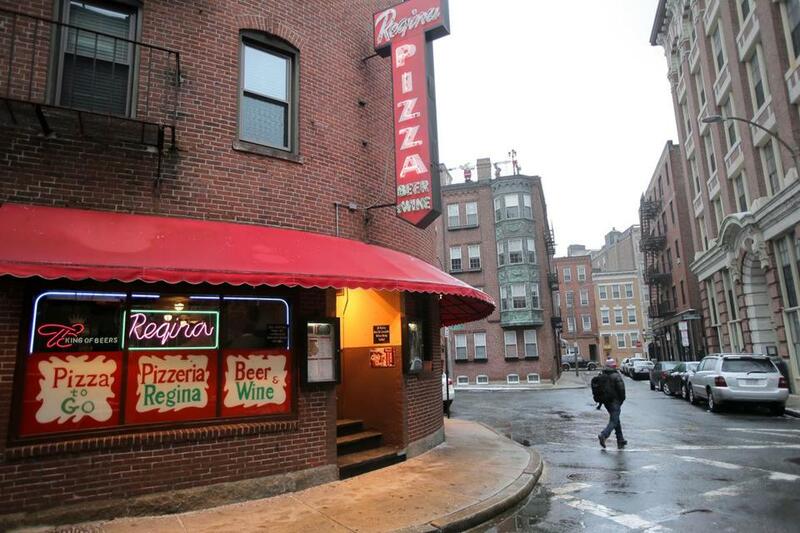 The parent company of Regina Pizzeria, the North End landmark venerated by tourists and generations of local families alike for its authentic brick-oven pizza, filed for bankruptcy protection Wednesday. Luckily for its fans, the flagship restaurant established in 1926 by the Polcari family will remain open, along with most of the chain’s 18 other locations in the Boston area, the company said Thursday. A spokesman for Woburn-based Boston Restaurant Associates Inc. said the company entered bankruptcy proceedings in order to get out of several long and expensive leases for restaurants at outlying malls with diminishing foot traffic in their food courts. Four low-performing Regina Pizzeria takeout restaurants — at Emerald Square Mall in North Attleborough; Pheasant Lane Mall in Nashua; Mall of New Hampshire in Manchester; and the Arsenal Project mall in Watertown — closed Wednesday and will not reopen, the spokesman said. The company said in bankruptcy filings that it would save around $70,000 a month if a US Bankruptcy Court allows it to get out of those four leases. The closings cost about 30 employees their jobs, Thompson said. Boston Restaurant Associates hopes to emerge from bankruptcy proceedings — with its current leadership intact — by this fall, Thompson said. The company still expects to open a new location in the Longwood Medical Area, he added, and payments to vendors and employees are expected to resume next week after an initial round of bankruptcy filings is processed. According to the bankruptcy filing, the company also wants to renegotiate leases at three other food court restaurants where business has declined: at Independence Mall in Plymouth, Liberty Tree Mall in Danvers, and Solomon Pond Mall in Marlborough. In addition to 17 Regina Pizzerias, Boston Restaurant Associates owns two Polcari’s Italian Restaurant locations in Saugus and Woburn that should not be affected by the bankruptcy filing. Documents indicate Boston Restaurant Associates’s board of directors voted in late April to authorize the bankruptcy filing. The company, which employs approximately 490 people, reported both assets and debts of between $1 million and $10 million. The original North End restaurant, with its vintage oven and walls covered by old photographs, is especially beloved. It’s seen by locals as a staple, a survivor from the old days that changed little even as the North End evolved from an ethnic enclave to a more diverse, but also gentrified, extension of downtown. More recently, Regina Pizzeria has positioned itself as a so-called fast-casual chain, with high-quality food and quick service. 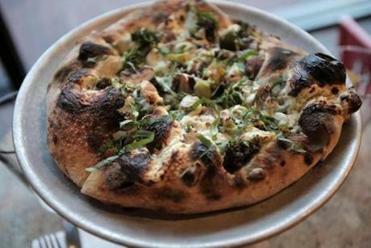 It faces increased competition from hip, high-end pizza restaurants, however, and possibly from Connecticut-based Frank Pepe Pizzeria Napoletana, a similarly storied chain that plans to open its first Massachusetts restaurant this fall. The Regina Pizzeria locations in Allston and at the Foxwoods Resort Casino in Connecticut are operated by other companies that license the Regina name and are not expected to be affected by the bankruptcy case.